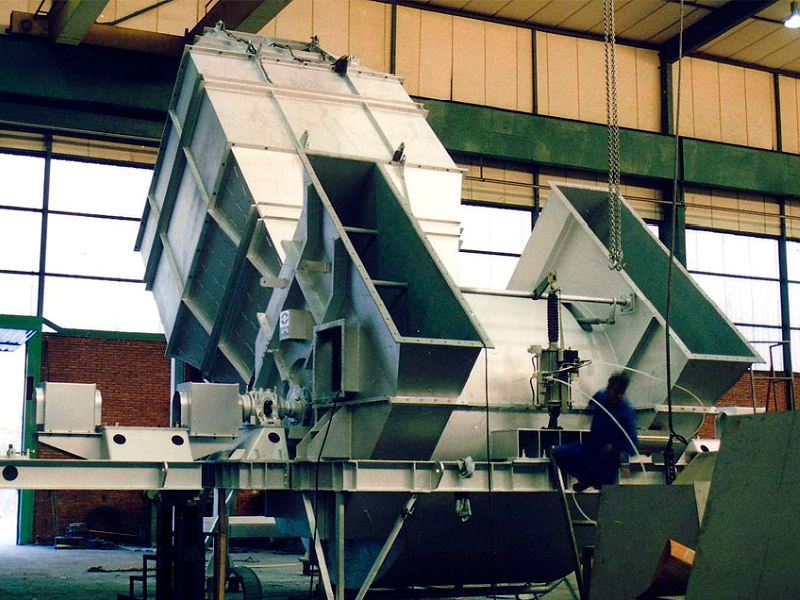 Gruber Hermanos specialises in providing centrifugal and axial fans, as well as general machinery such as mills, mixers and valves for the chemicals industry. 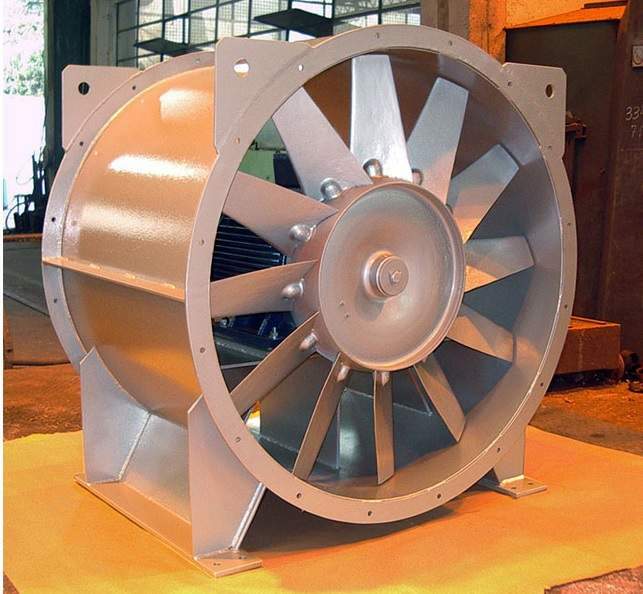 We provide strong and versatile centrifugal fans to move air and other gases in a range of industrial applications. Our fans are designed for a range of flows and pressures, customised to meet specific customer requirements, as well as industry regulations and standards. This ensures that the fans operate with optimum efficiency and performance. The fan impeller and blades are key to the efficiency of a fan and we have tested the full range to deliver a complete line of backward-curved, radial and forward-curved blade fans. Impellers with backward-curved blades have up to 90% efficiency with optimum aerodynamics and low noise generation. They are highly effective and suitable for most applications, in particular for clear air without many particles. Radial blades are more effective for use with fluids that contain particles than backward-curved blades. The design of the blades prevents solid particles from clinging to them. Forward-curved or radial-tip blades are specifically designed for industrial applications that encounter a very high volume of dust. The design is optimised to prevent solid particles from sticking to the surface of impellers. Gruber Hermanos designs fans that require the minimum amount of easy maintenance and we have wide-ranging expertise in the use of centrifugal fans within the chemicals industry. Our team can assist clients in selecting the ideal fan for any application. Fans can be installed on a number of supporting structures such as a single or double inlet fan mounted between bearings on a passing shaft, as well as a double inlet fan with an integral frame. The direction of the impeller’s rotation and outlet position can be chosen based on the type of installation required. Fans are selected based on volume and pressure data provided by the client, then narrowed down based on the most appropriate material and design for the required service and location in a chemicals plant. There are ranges of centrifugal fans suitable for energetic, corrosive or up to 600°C gases, as well as fluids containing abrasive dust. Other fans are available with several compression stages up to 8,000mm water gauge (mmWG), and a high peripheral speed for pressures up to 3,000mmWG with one compression stage. Gruber Hermanos can manufacture customised fans using the most suitable materials and designs for the fan’s application. 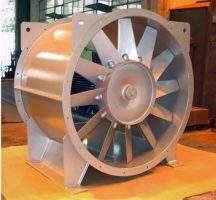 Axial fans are designed to provide a higher flow rate of gas compared to centrifugal fans where the difference in pressure is small. Gases travel through the fans in an axial flow direction, which means that the fan can be easily incorporated into a section of a gas pipe. Airfoil blades are fixed radially and when the fan is not running, their pitch can be adjusted, creating an adaptable solution. Guide vanes are normally featured on axial fans, placed at either the inlet or outlet to reduce rotation of the conveyed flow. 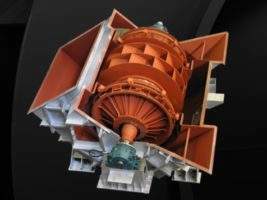 This means that energy transmitted by the impeller to the gas is used more efficiently. 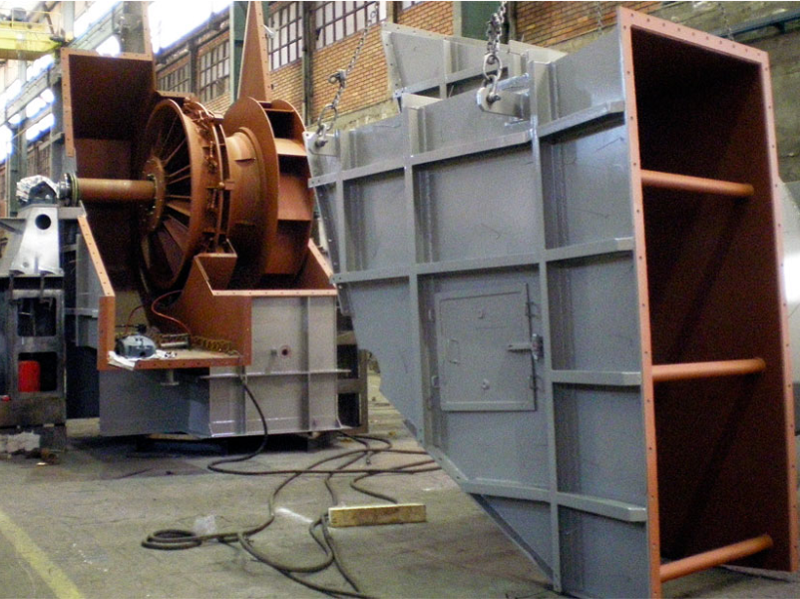 Axial fans are mainly used in industrial workshops and tunnel ventilation, as well as cooling and prilling towers within mining, shipping and textile industries. They have a static pressure of up to 180mmWG for each compression stage and are available in diameters ranging between 335mm and 3,000mm. Offering up to 81% efficiency, the fans feature rotors made of light alloy casting with adjustable airfoil blades. We provide a wide range of general equipment suitable for use in chemicals applications, including mills, mixers, cyclones, rotary valves, and pneumatic conveyors. Micronising mills are used to pulverise minerals and other soft or hard materials, producing grains ranging from 15µ to 300µ. High-quality duplex mills are available to produce treated materials in size of more than 500µ. 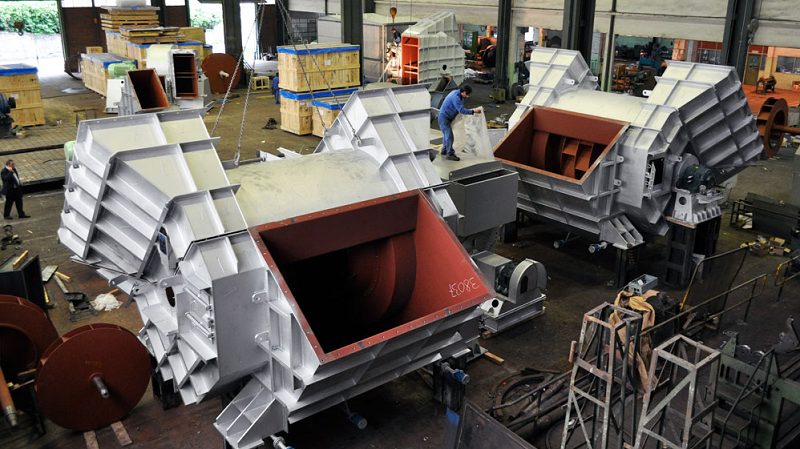 We also supply hammer mills and crushers. Our range of mixers includes spiral, high-turbulence, biconical and blade, as well as kneaders. Gruber Hermanos alveolar rotary valves are suitable for use as locking elements, and extraction of granular materials while minimising air loss.